When circumstance dictates, SpecDrum drive drum pulleys can be Ceramic Lagged as per our customers request. At SpecDrum we cold bond the ceramic lagging to the drive drum pulley using only specialised and trusted adhesives. 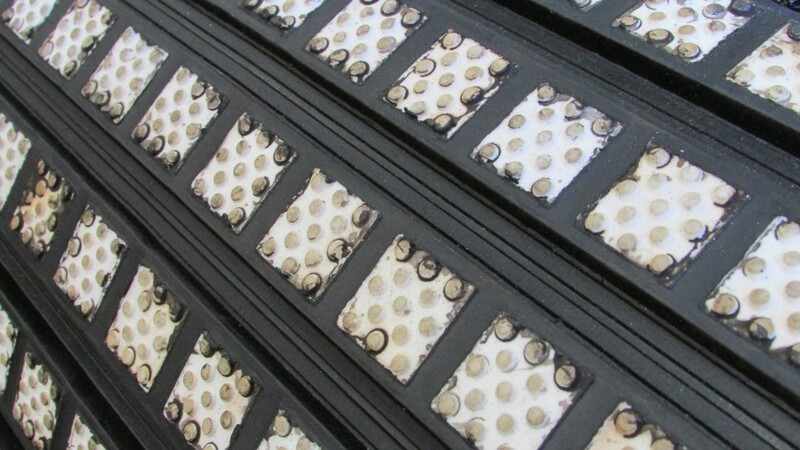 Ceramic Lagging is usually used by a client to solve traction or abrasion related issues, achieving up to as much as five times higher co-efficient of friction than that of purely rubber to rubber. The positive grip improves tracking and reduces slippage. This allows for lower belt tensions that improves the life expectancy of your conveyor components.